Trumbull Mountain Equinox- We are proud to present our very own saddle! One of our biggest fitting challenges has been the wide horse. 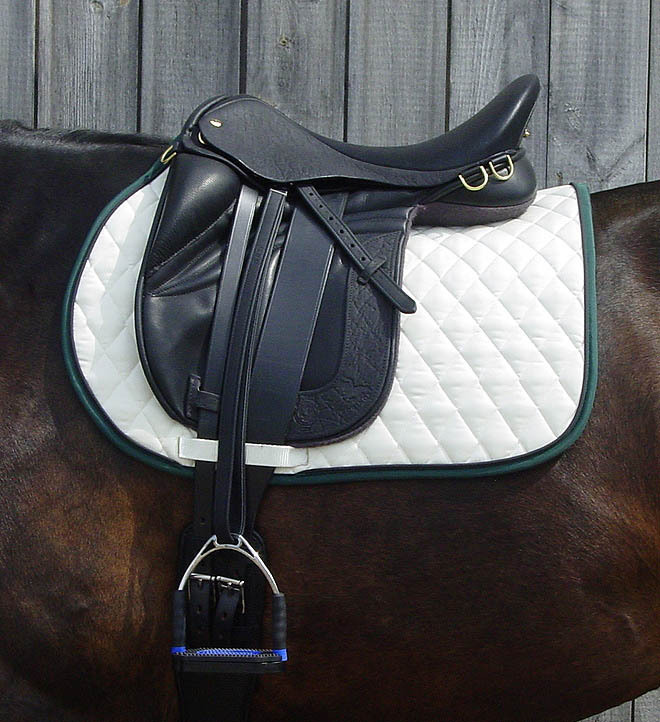 Many of our customers are endurance riders and pleasure riders who want a comfortable, secure saddle that doesn’t roll around on a ‘plus sized’ horses! We designed this saddle with the Arabians, Morgans, Draft Breeds, Warmbloods, Fjords, and Quarter Horses in mind. Everyone in our shop had a hand in the design of this saddle. 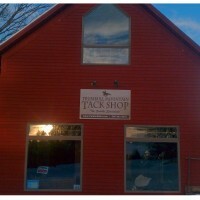 We put our heads together with the help of Black Country and we created a saddle that we are very happy with. To start with, the Panels are made of Serge. This is a woven fabric that is soft and breathes. It allows a much quicker break in, and dissipates heat much better than leather. The panels are stuffed with a low profile and a really wide gullet to allow the saddle to ‘sit down’ rather then perch up in the air. 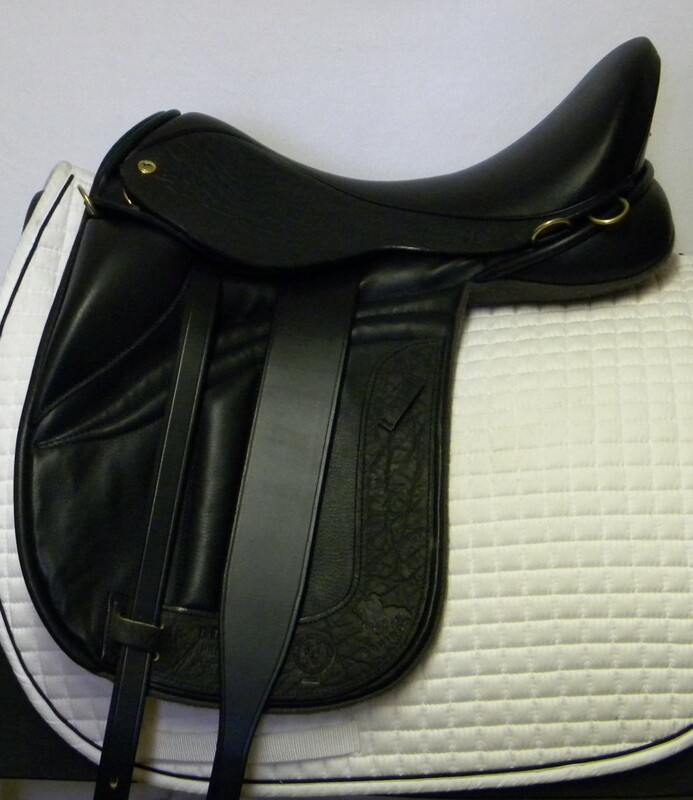 This saddle offers both a wide fit for the horse as well as a narrow twist for the rider because of a specially designed panel with a narrow ‘waist’. The girth billets come from the front and rear corners of the saddle to keep it from rocking. The flap is a ‘mono flap’ design, because we didn’t think we needed any more thickness under the leg. 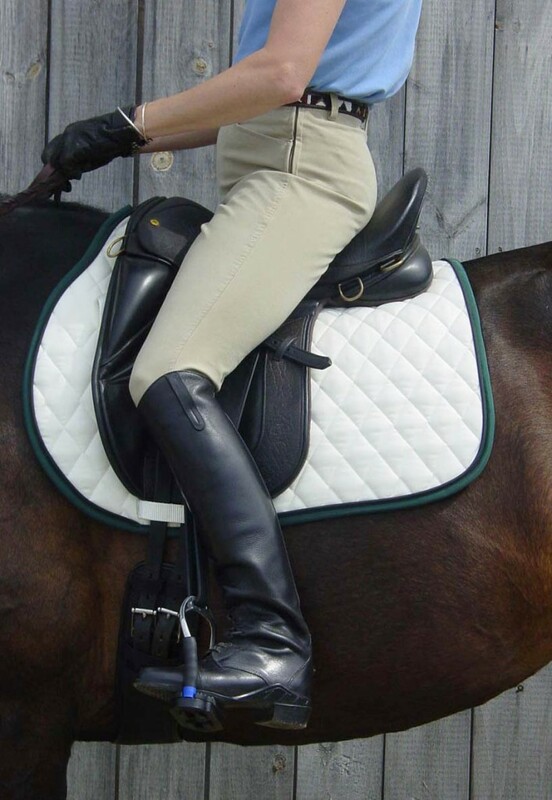 The thigh block offers security without pressure on the rider’s knee. To top it off, the leather is a soft Schrump leather which is grippy, secure, and durable. We have added lots of D-Rings so you can bring your lunch, your sponge or what have you. 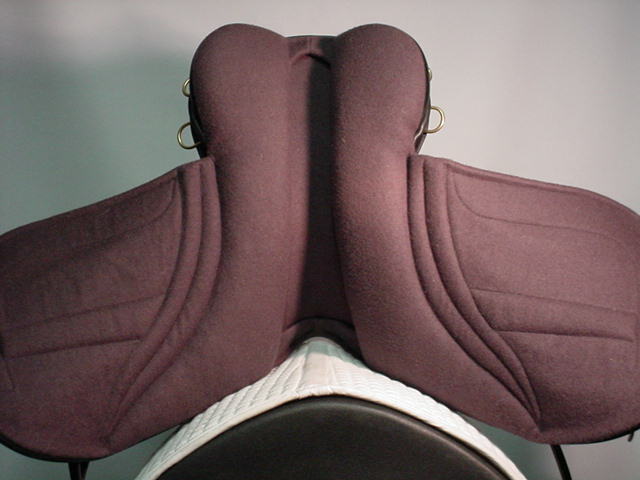 The stirrup bar is set in the “dressage” position to improve the rider’s balance and has had an extra layer of foam added to the seat for additional cushioning. It is available in black, ( havana brown by special order), in sizes 16.5″ – 18″ with medium, medium wide, wide or extra wide tree. Other sizes available by special order.